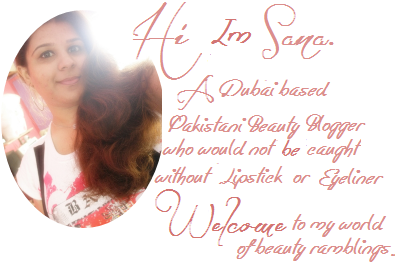 "Luscious Cosmetics is a beauty brand offering luxury quality products with innovative formulas and glamorous packaging. Our products are formulated especially for South Asian skin tones while following global fashion trends and cutting-edge technology . Since its launch in May 2008 Luscious Cosmetics has gained a cult following among celebrities and makeup addicts alike. Luscious has become synonymous with luxurious texture, glamorous colors, remarkable product innovations, and lots of shimmer. Our mantra: Celebrate your beauty." Luscious Cosmetics presents the ultimate beauty tool: a set of luxury brushes perfect for all your makeup application needs. These brushes come with a stylish and convenient Luscious signature carrying case. We have updated this bestselling brush set with a retractable pink lip brush and a new case design! Luscious makeup brushes are 100% cruelty free. My favorite brushes in the whole set are Blending Brush & Eye Shadow Shader Brush . 1st ever time when I used the blending brush from the kit I instantly fall in love , and can clearly spot on visible difference in my makeup. The brushes pick color/product so well . I like how the brushes came in a handy yet stylish pouch comes in handy and looks very classy . I haven't noticed any shading of hair since I have started using it ( been using it from last 3-4 months) and as a fact that they are easy to clean and can be carried out too . Eye Shadow Blender Brush . Eye Shadow Shader Brush . Small Rounded Eye Shadow Brush . To be honest I don't use this brush much , As it is not that dense enough to give you a perfect blended blush/highlighter and you can see a clear visible patch on your cheek , but its not bad either . This brush work OK too as I don't really use these brushes comes in the kit . Eye liner brush works pretty well . You can get a precise liner with it if you have a perfect hand for applying gel/cake liner . This one is one one of my favorite brush & the results it gives is pretty good . You can get a perfect blended crease & I sometime use this to apply highlighter on my brow bone as well . This one is my favorite too , very precise and handy too use & perfect to add depth to your crease area with a darker shade . Small rounder shadow brush perfect to apply your choice of light eyeshadow all over your eyelid. The most I like about this brush is its retractable packaging and color *PINK* . Safe and handy to use . Over all , I can say that this kit is not bad for-beginners or who just started doing makeup . This kit definitely not for those who are working professionally . 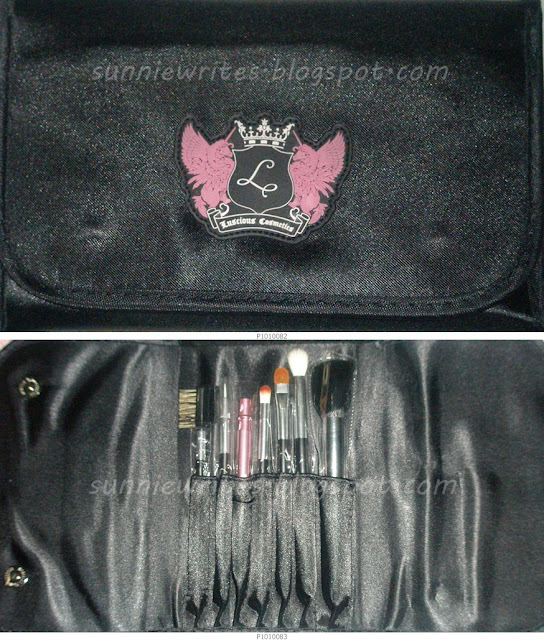 Luscious has 12 PCS Deluxe Diva Kit who contain 12 brushes but a makeup junkie like me this small kit is not enough . Luscious 7PC Essential Brush Kit Priced Rs.850 and you can get it from any leading super store or you can order online from their official website and also from Luxola. What do you think about it ? Any one of you tried it ?? 11 comments on "Review [Luscious Cosmetics 7 Piece Essential Brush Set]"
Very cute small brush set . I guess its best for traveling . These kits don't last long, mine is now in bits and pieces. The handles give way,wooden parts loosened from the lower parts even though I haven't used them much. Great review! The previous brush roll was much much better. I am very disappointed with the blush brush in this kit. The quality is not worth it.